To the right, you will find the details and pricing for each room. 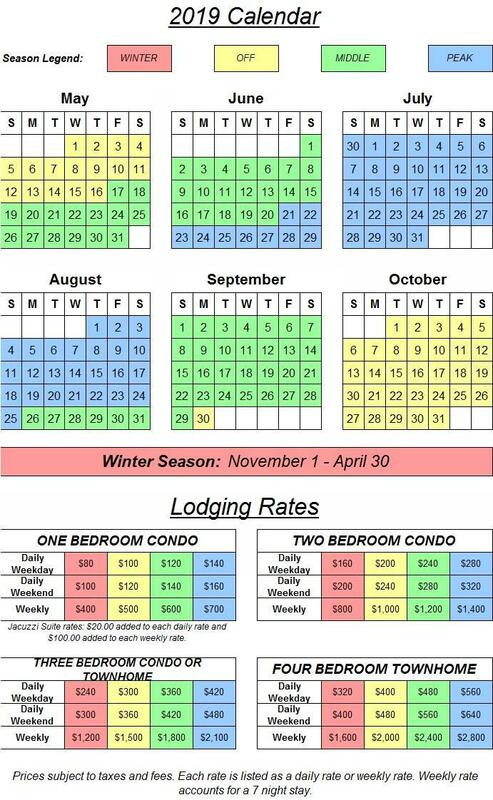 For more information click on the "Lodging Inquiry" on the right or call us at (800) 678-0122. Please note: pets are not allowed at the resort. We do work with Bokhara Pet Resort in Elk Rapids that will be happy to accomodate your pet during your stay with us. Weekend is considered Friday and Saturday nights. Weekday is considered Sunday, Monday, Tuesday, Wednesday, and Thursday nights.